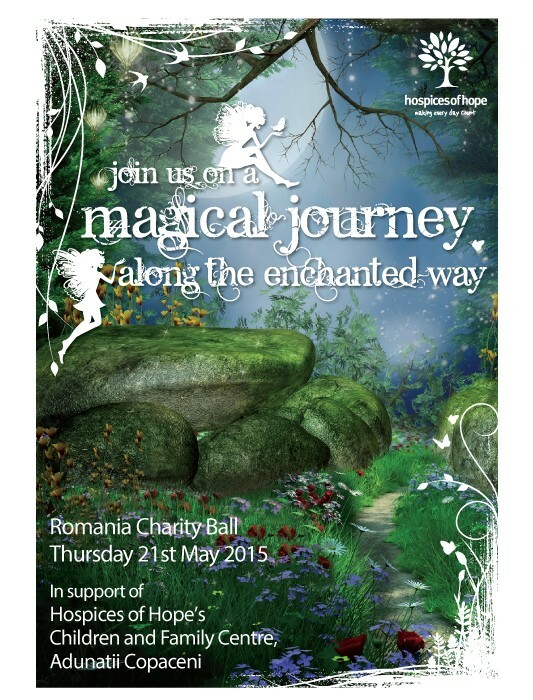 Hospice of Hope has the pleasure to invite you to a great charity gala in support of Campaign for Copaceni. In response to the needs of children who have life-limiting illnesses and their families, Hospices of Hope have launched Campaign for Copaceni. This is a 1.1 million fundraising initiative to renovate and equip five buildings on the Copaceni property. Casa Florescu is a small “manor house” that will be converted into a 12 bed respite care centre. Children will be admitted for “planned” episodes of care to give their parents or carers a break from caring. The aim will be to improve their physical condition as well as dealing with any emotional and psychological problems. The first floor will be used for administrative/support purposes. This building needs complete renovation but has been declared structurally sound by the architect.